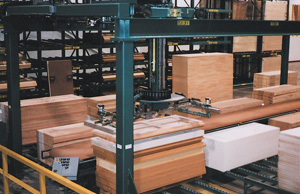 Automated Door Picking Systems for the Woodworking and Related Industries – Creative Automation, Inc. 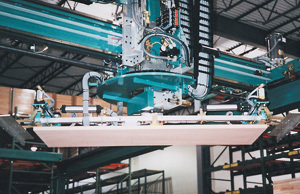 Automated door picking systems are ideal for lines that mass produce custom orders. 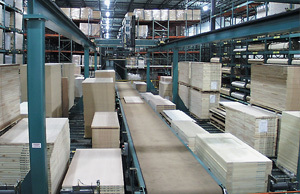 Creative Automation picking systems can feed from as many stacks as required and can deliver doors to multiple machining lines. Broad view of picking system. Picker takes pick order commands from networked computer. This door is being rotated before being set down.